Dolly Parton and Miley Cyrus performed together. Queen of country songs Dolly Parton partnered with Miley Cyrus as they went back to their Southern roots and sang Jolene. Fact: Dolly is actually Miley’s godmother. They also sang with Maren Morris. Ricky Martin, Camila Cabello, and J Balvin set the stage on fire with world-renowned Cuban-American trumpeter Arturo Sandoval. 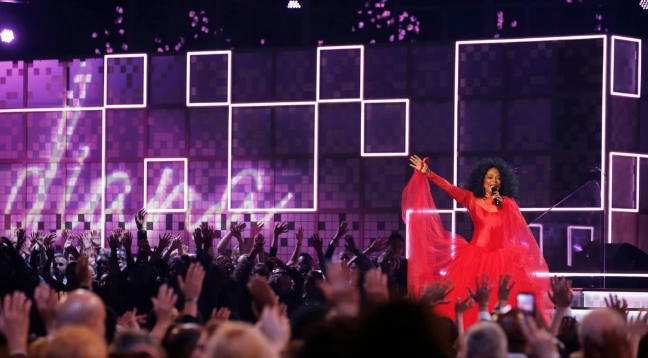 Diana Ross celebrated her 75th birthday with a smashing performance onstage. 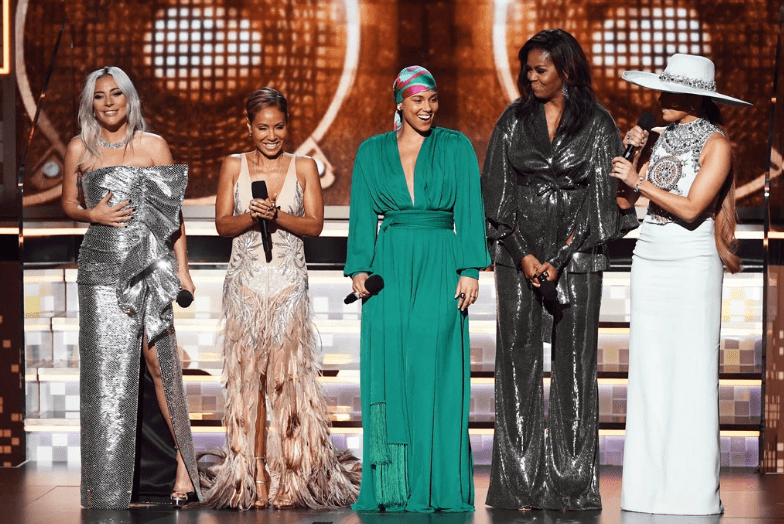 Jennifer Lopez did a MoTown tribute and performed “Dancing in the Street” and “Please Mr. Postman,” with the legendary Smokey Robinson who introduced the performance and sang bits of “I’ve Got Sunshine” and “My Girl” and Ne-Yo played the piano. Katy Perry and Kacey Musgraves paid tribute to Dolly Parton in matching red ensembles. Red Hot Chili Peppers perform with Post Malone rocked the stage.